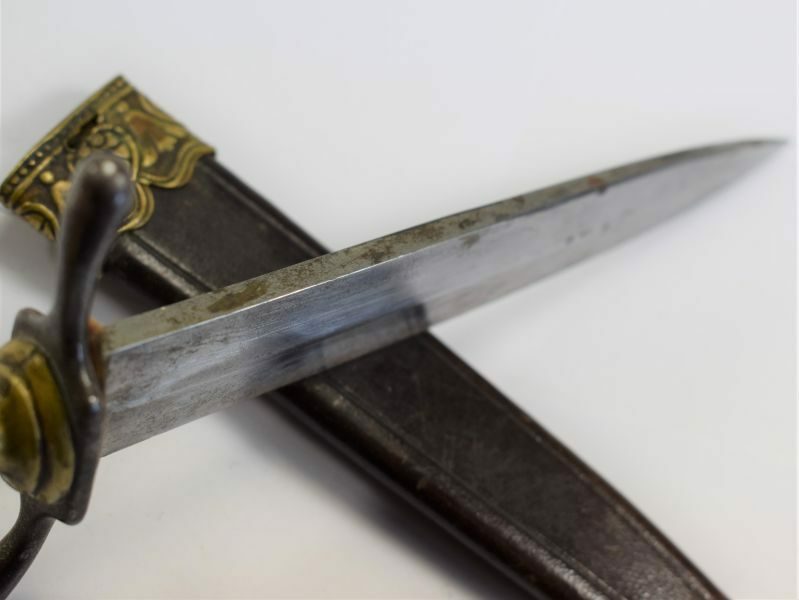 A good original WW1 German Nahkampfmesser trench knife. 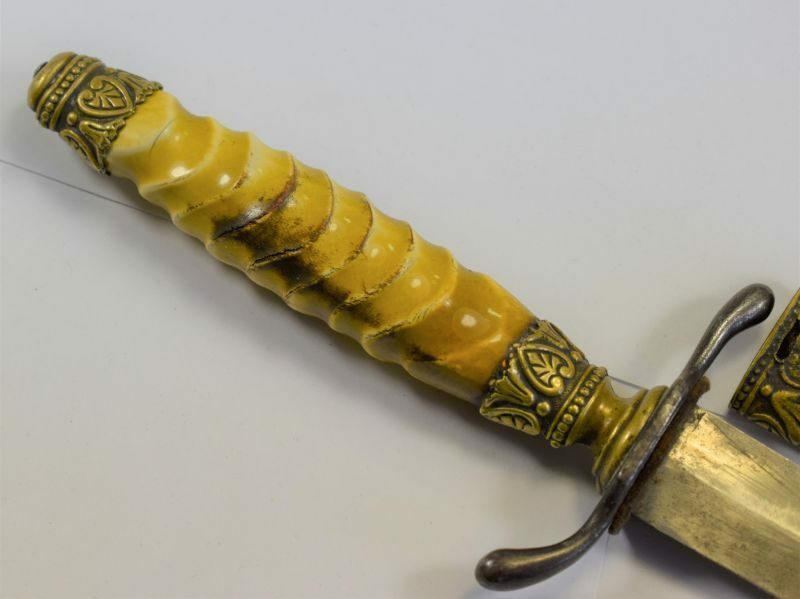 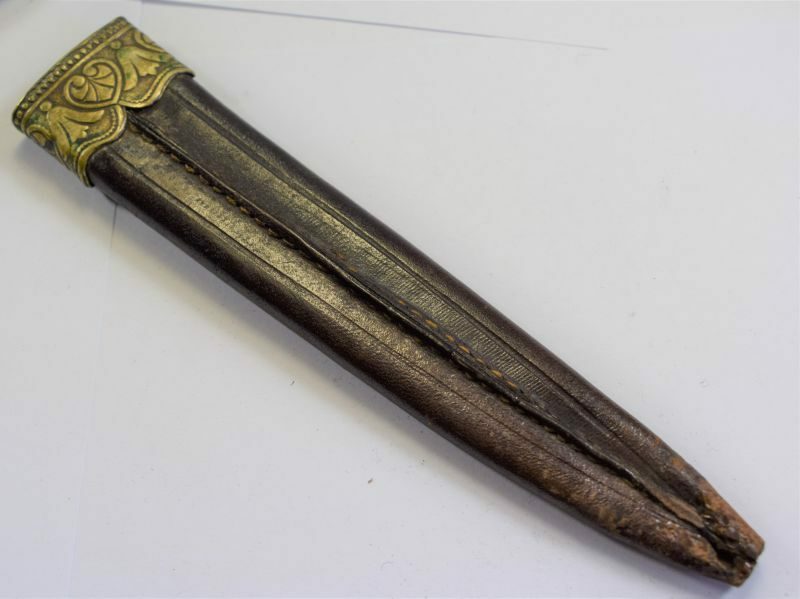 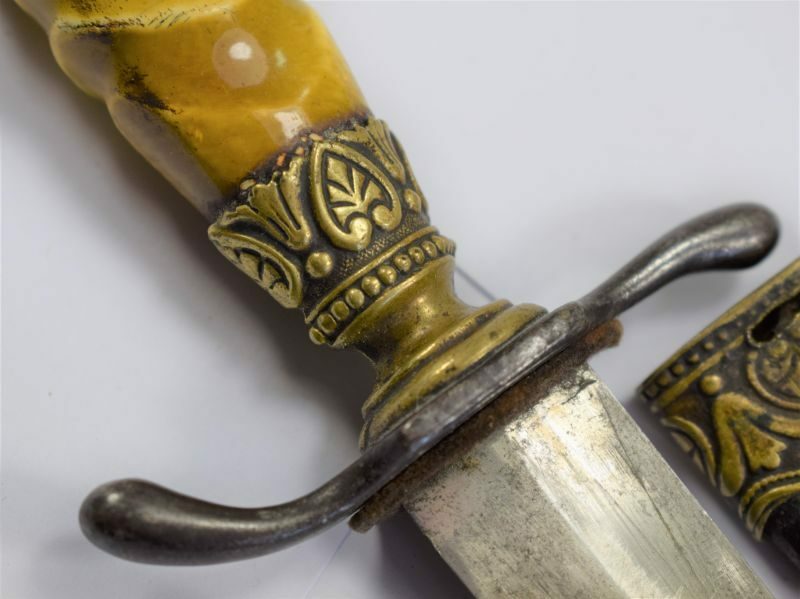 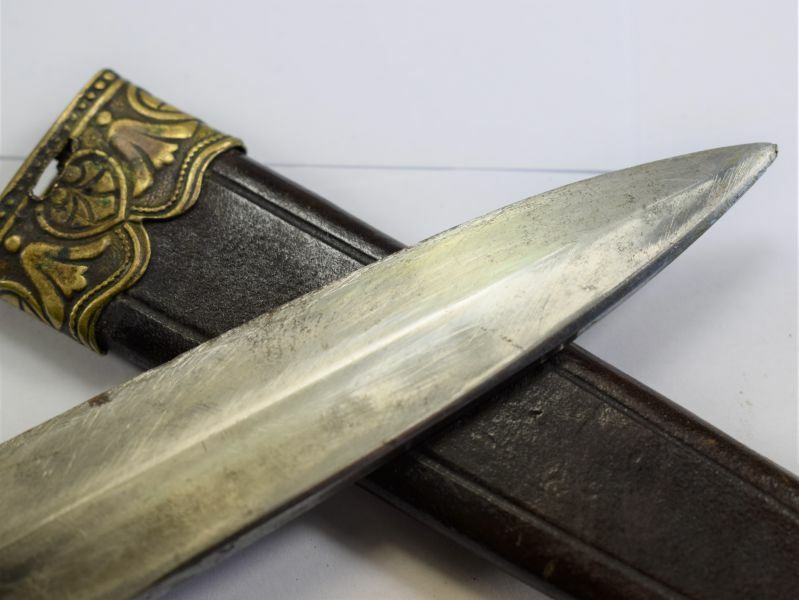 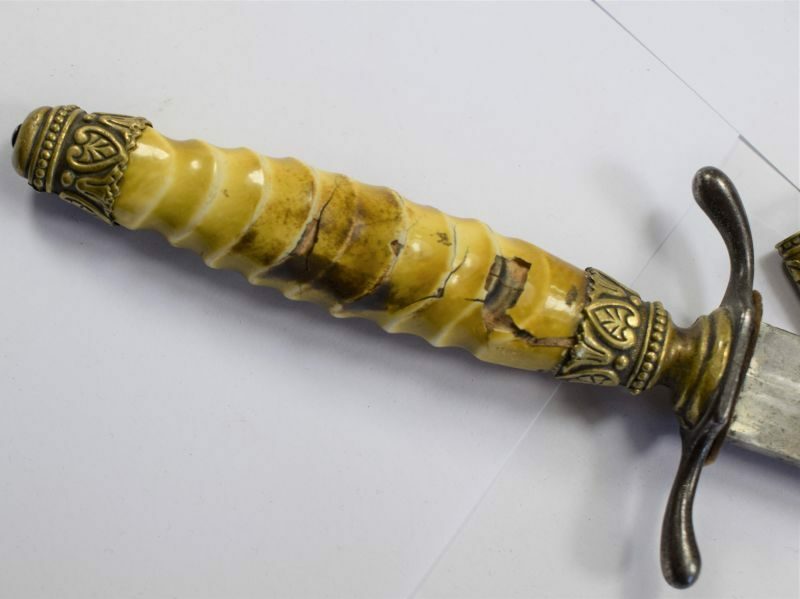 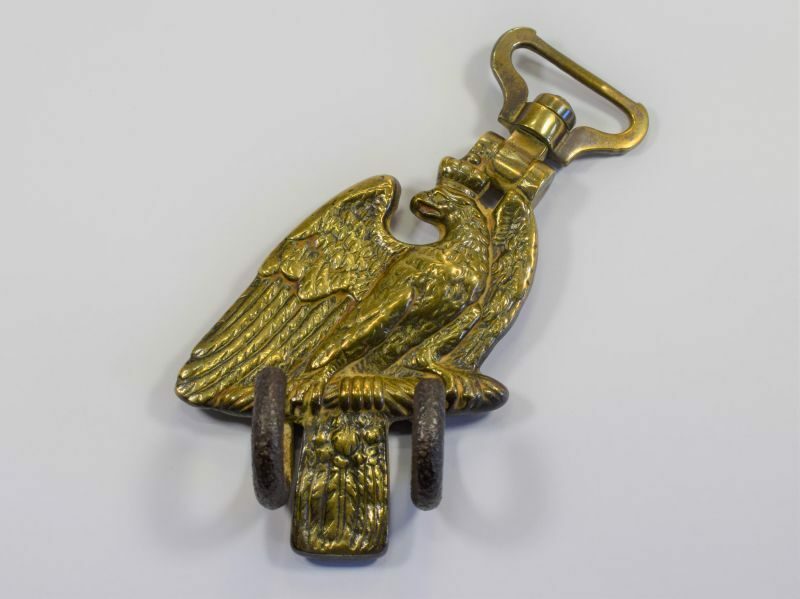 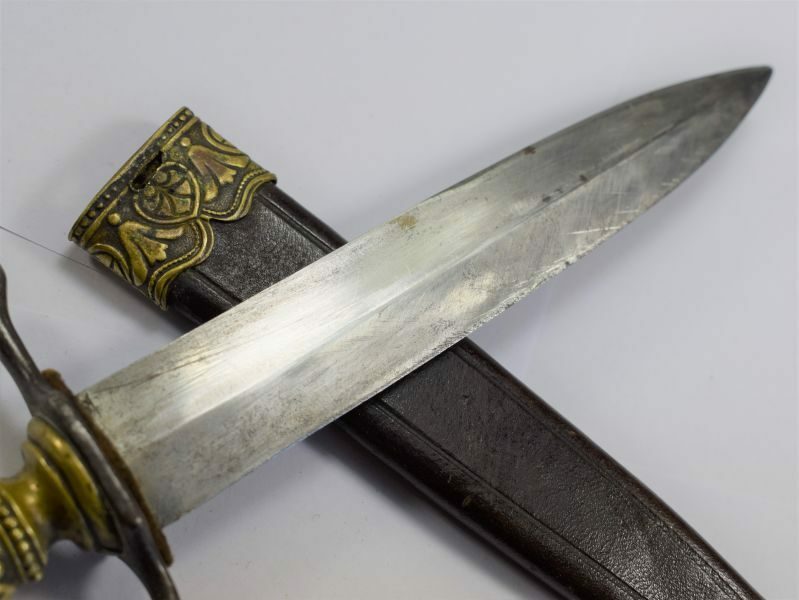 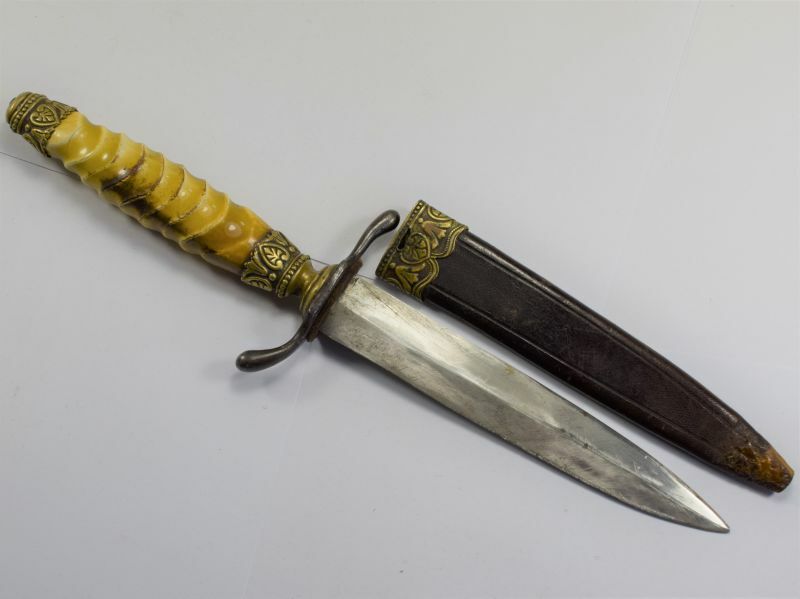 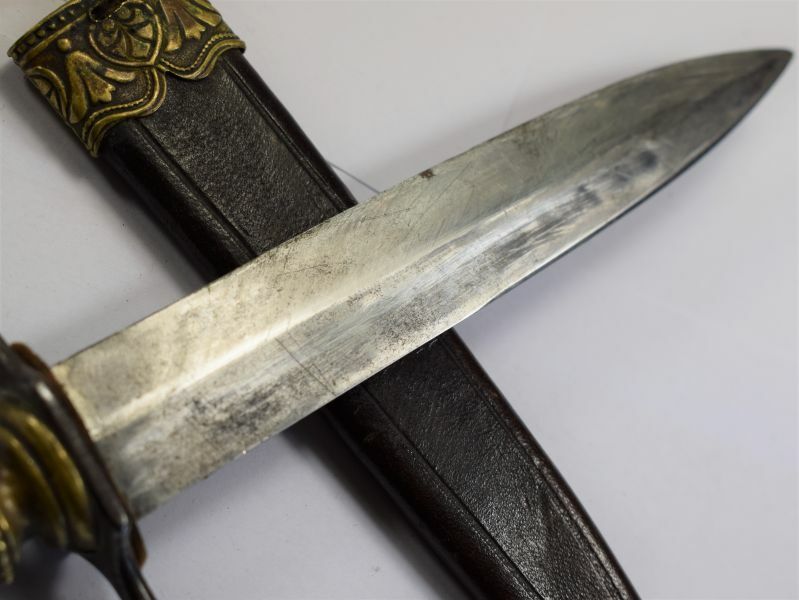 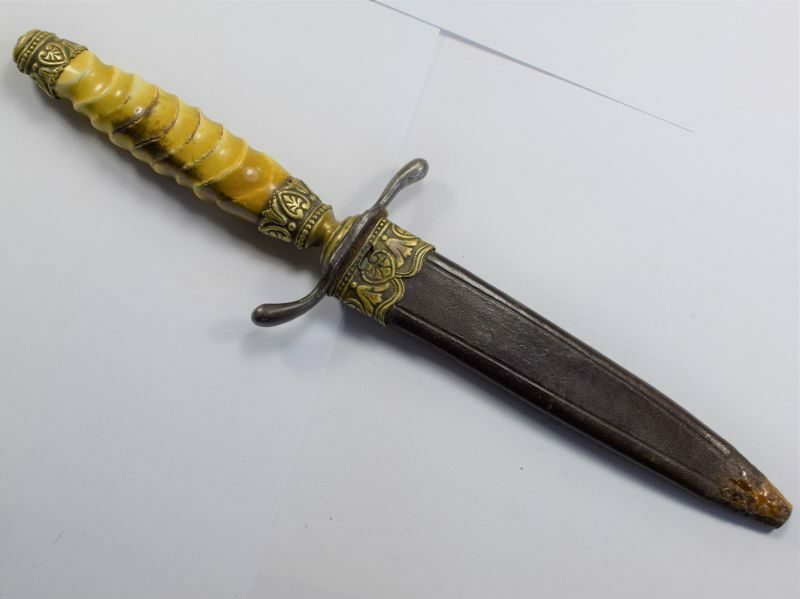 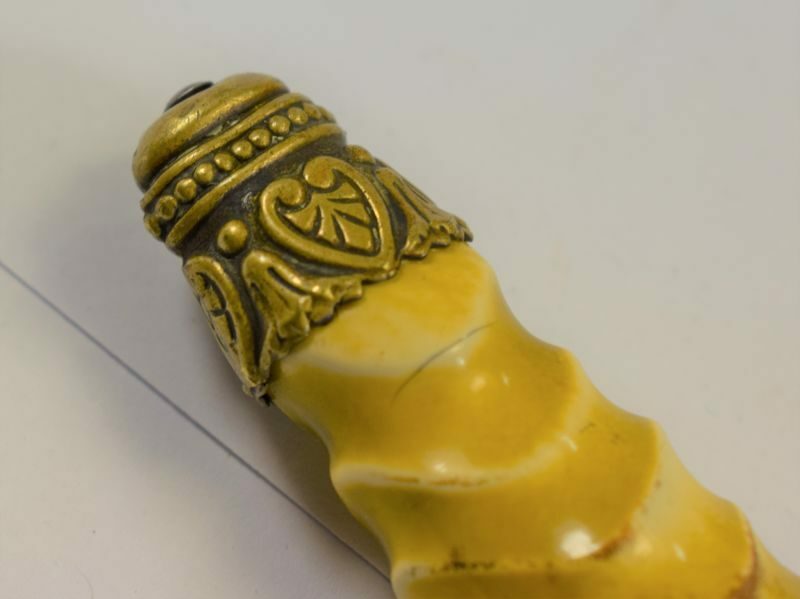 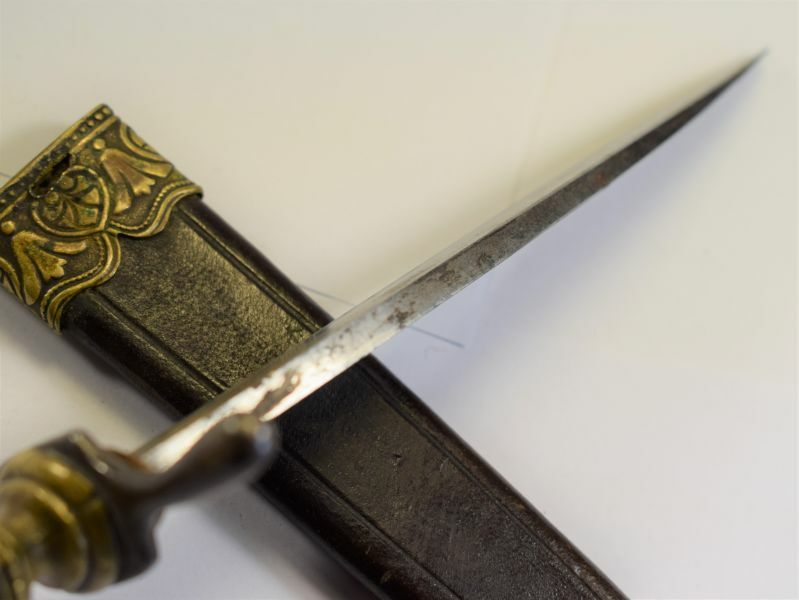 the knife is pretty ornate and has nicely decorated brass fittings, the grips are of celluloid covered wood, the same as the Nazis used on dress daggers. 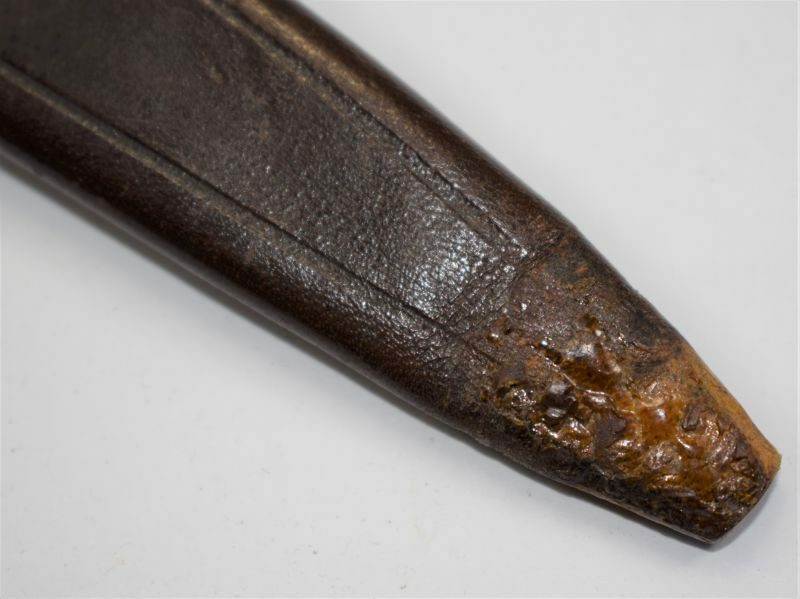 One side is excellent the other has some cracking and surface loss to the celluloid finish which shows the wood underneath (see photos). 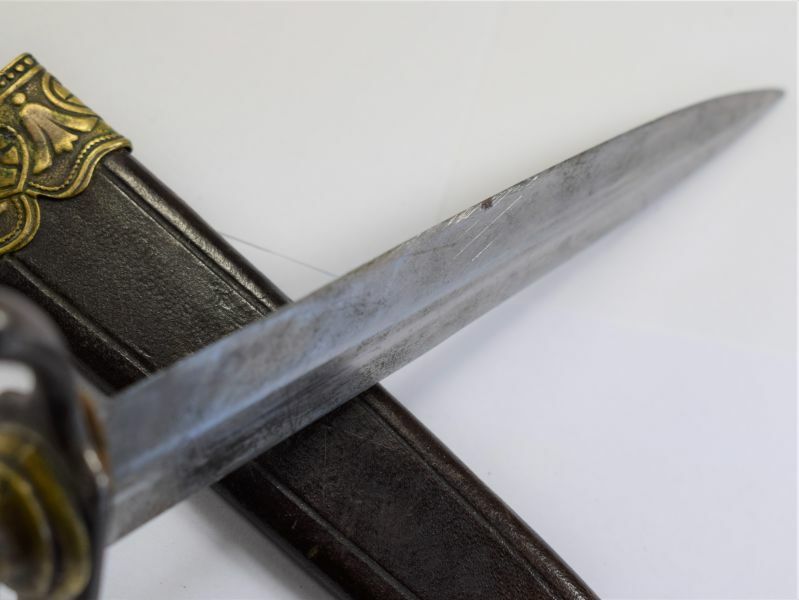 The cross guard is excellent. 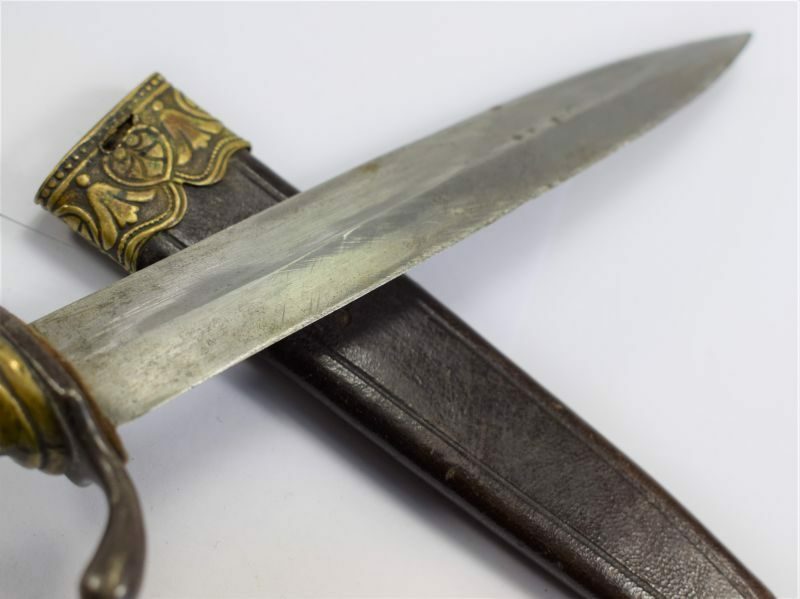 The single sided blade is its original size and shape with only minor signs of sharpening and some surface marks and scratches. 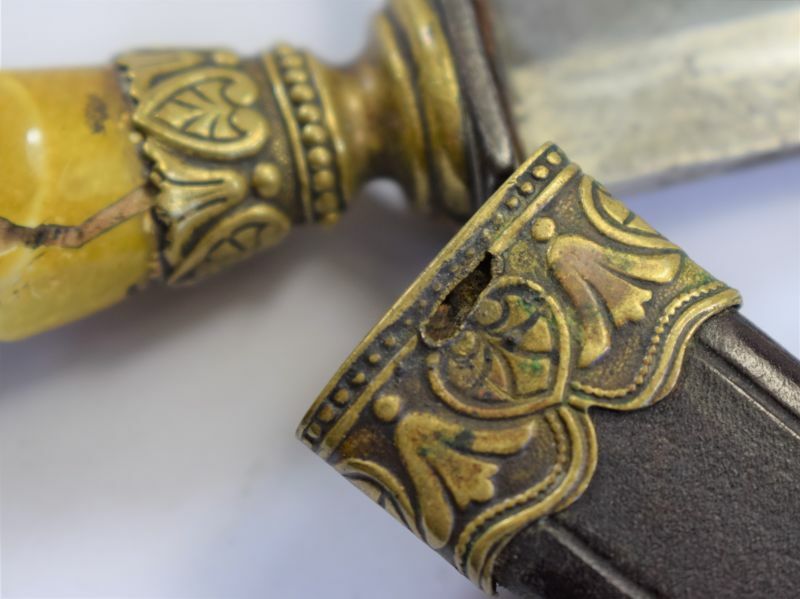 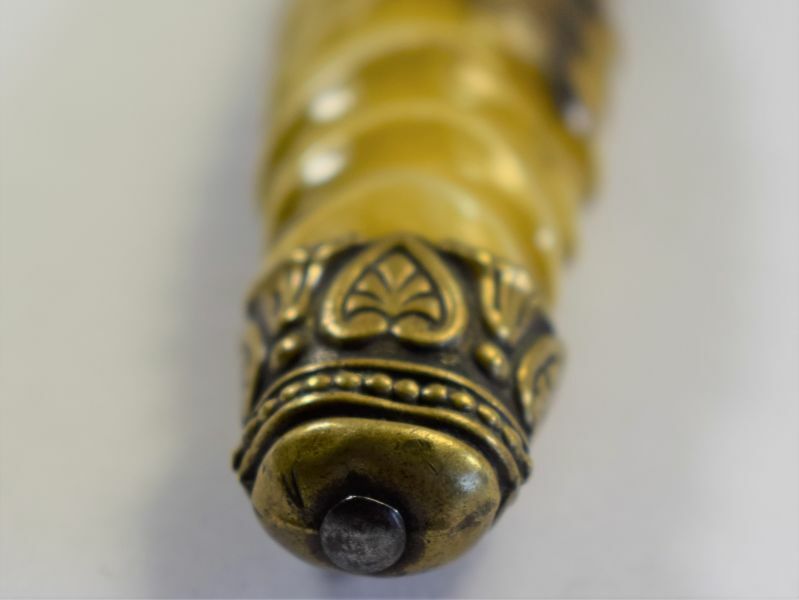 The scabbard is the correct one for the knife and has matching ornate brass throat. 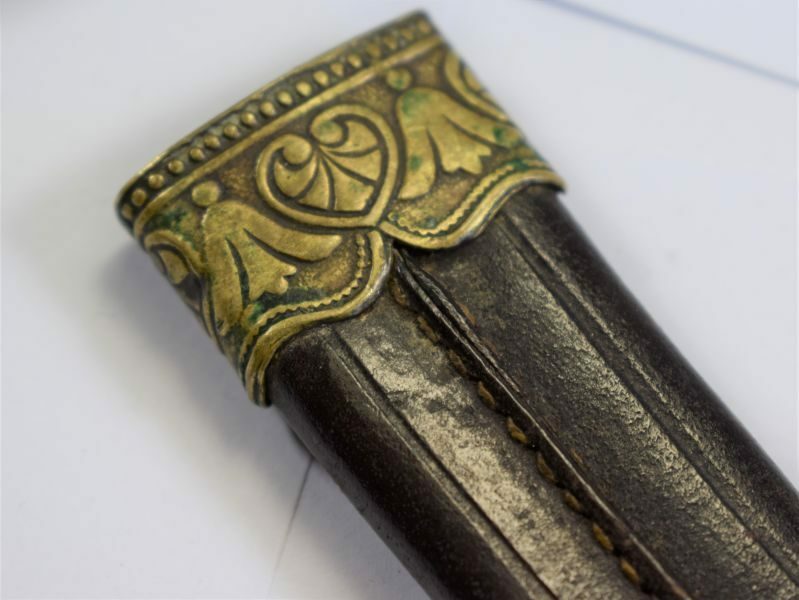 The leather is in nice order. 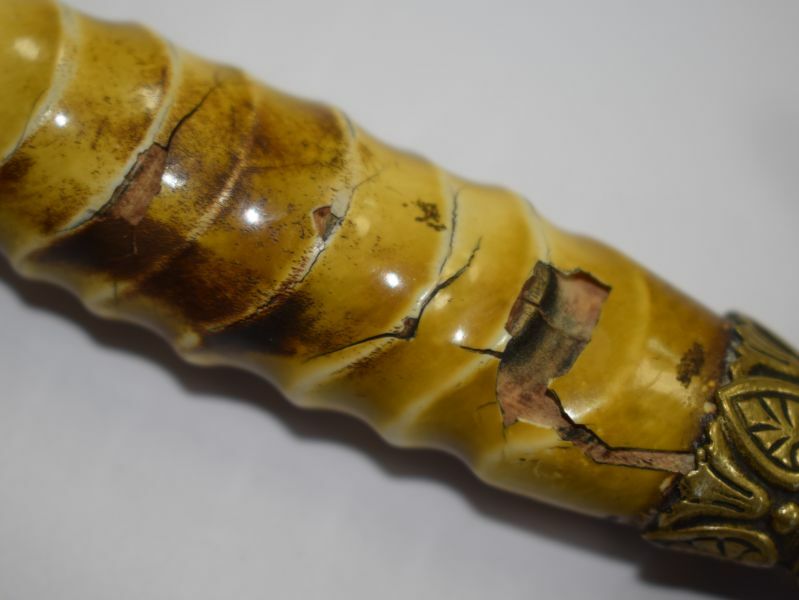 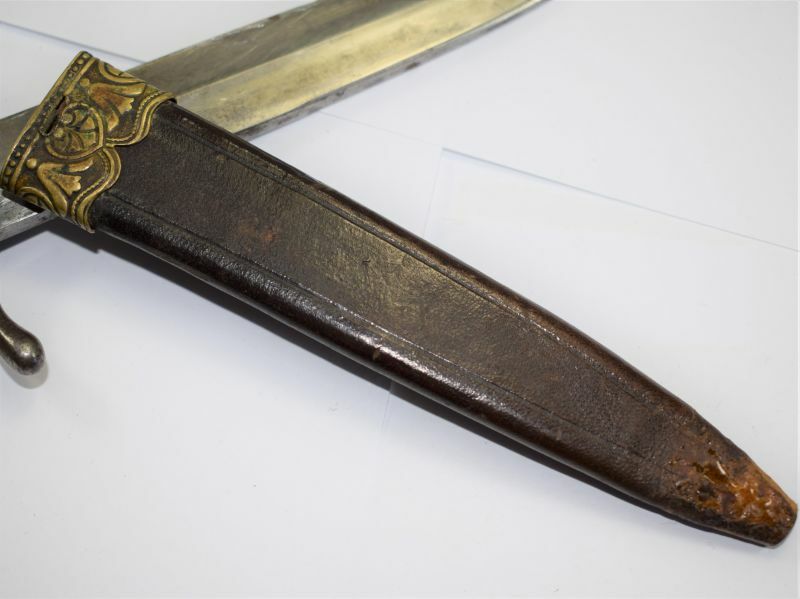 it looks like it should have once had a matching tip to the scabbard which has long since gone (see photos).